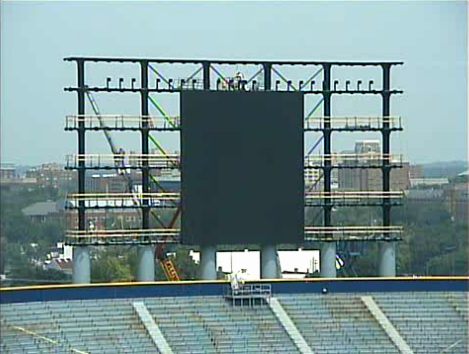 The new north endzone scoreboard/video screen as of this posts date. A while back we posted a link to a webcam mounted somewhere on the pressbox that is running a 24/7 feed of the scoreboard installation. It was up and running when the old scoreboards were torn down, but once the boards were gone, they turned off the webcam. 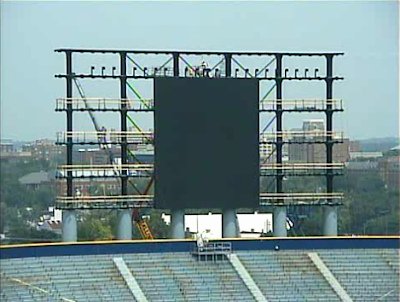 Of course once the old boards came down, there was little need for a webcam showing part of the Ann Arbor skyline (unless you really love the AA skyline). Well, now that the new boards are in the stage of being constructed above the rim of the stadium, the webcam has been reactivated for your endless viewing pleasure. Click here to check it out. While we're at it, you should really follow Michigan Basketball and Michigan Hockey on Facebook. Both have been updating their pages with photos of the scoreboard updates as well as the face lift that is the inside of Crisler Arena. 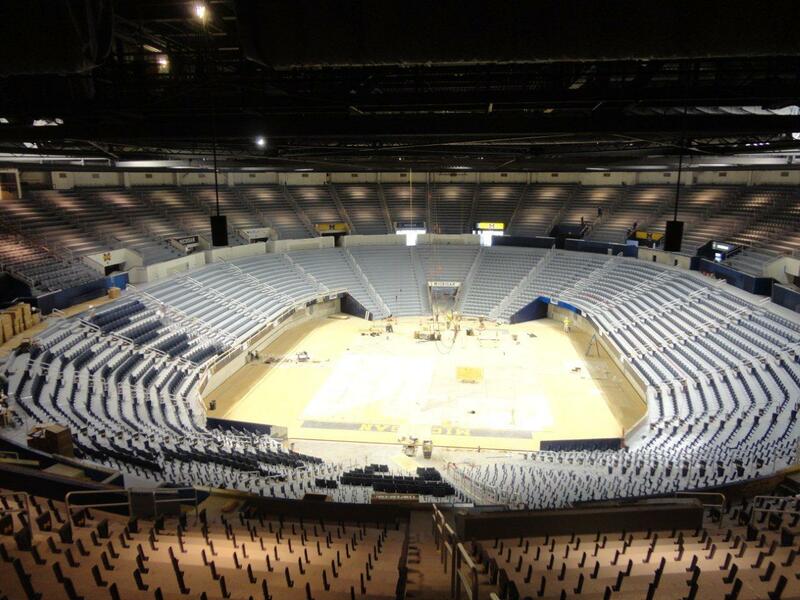 The progress inside Crisler is impressive. It looks like a modern basketball venue all of the sudden. 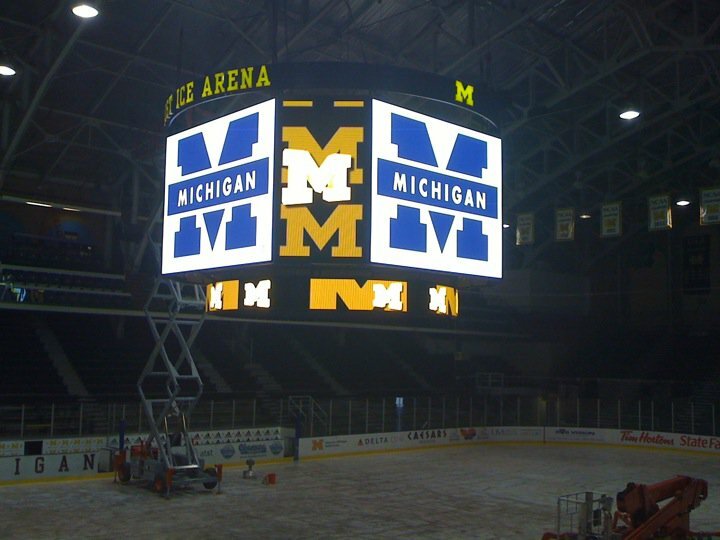 The new scoreboard at Yost is night and day compared to the one it replaced. And while you're at it following Michigan sports on Facebook, follow us too. A lot of content ends up on our FB page that never sees the blog. Follow us on Twitter too.